Stunning Tarpon Woods Estate Home! Like an architectural beauty tucked in the Hollywood Hills, this 5-bedroom/5.5 bath home is uniquely distinctive. 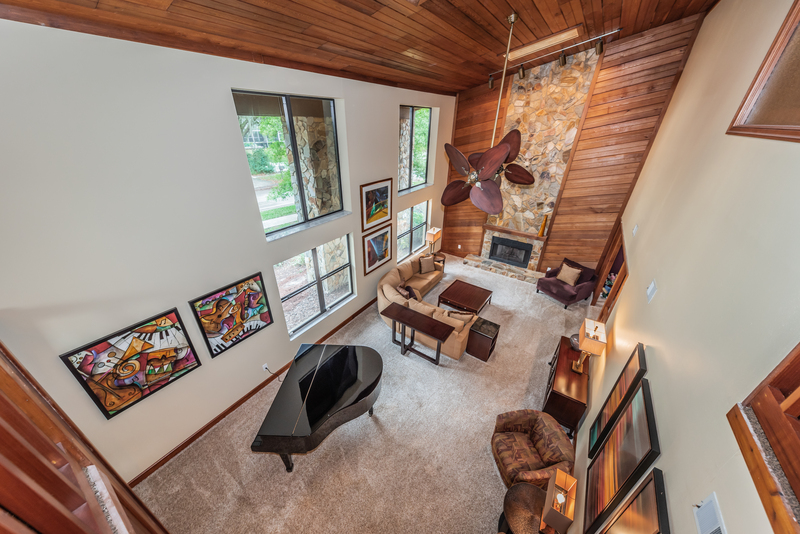 Reminiscent of a Frank Lloyd Wright design, it features magnificent entry doors in addition to soaring ceilings, creative built-ins, richly stained woods, craftsman cutouts, and shining glass; a home like no other. Both the formal living room and family room showcase rustically elegant fireplaces while the stately formal dining room presents sliders to the picturesque outdoor entertainment center. The updated gourmet, eat-in kitchen boasts a breakfast room, a huge center island with cooktop, and a serving port that offers panoramic views of the outdoors. A butler’s pantry shines with its undermount lighting and specialized cabinetry. On the first floor you’ll find a lovely guest suite that now serves as a home office; plus a powder room. The master bedroom feels like it belongs in a grand hotel with the updated bath’s dual rain shower heads in the shower room and a Jacuzzi tub. Featuring a stone fireplace, the suite includes 3 walk-in closets plus sliders to a private balcony overlooking the oversized pool that goes to a 9’ depth. Poolside, an outdoor kitchen and bar seating make complete the retreat. In even more luxurious amenities, an interior hot tub is adjacent to a separate sauna. They connect to a stunning pool bathroom. With a large laundry room, a 2-car garage plus a golf cart garage, this manse in Tarpon Woods is 10 minutes from John Chesnut, Sr. Park and the magnificent Lake Tarpon. https://trinityeastlakerealestate.com/wp-content/uploads/2018/03/LC-WebLogo-340x156-300x138.png 0 0 loricrawford https://trinityeastlakerealestate.com/wp-content/uploads/2018/03/LC-WebLogo-340x156-300x138.png loricrawford2019-03-05 13:18:442019-03-05 13:18:44Stunning Tarpon Woods Estate Home! UPDATED Throughout Clearwater Pool Home! 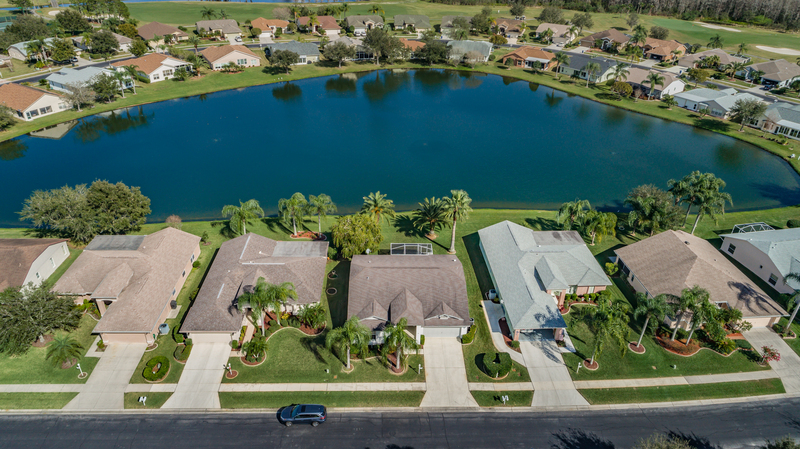 For gracious living in the Countryside area of Clearwater, consider this impeccably remodeled and freshly painted 5 bedroom/3 bath/3 car garage pool home with a shingle roof installed in 2015. Flawlessly landscaped, stunning pavers introduce the double doors of the grand entrance. Besides new wood floors, new baseboard molding, and lush new carpeting, new tile and granite counters shine in every bath; each dressed in fine finishes and fixtures. The master’s ensuite bath is polished to perfection with dual sinks, large closet, walk-in shower, and modern soaking tub. Adjacent to the well-appointed laundry room with new cabinets and counters is the gorgeous gourmet kitchen that rivals any magazine spread. A study in casual elegance, not a detail was overlooked from every conceivable type storage to the utilitarian ease of the design aesthetic. 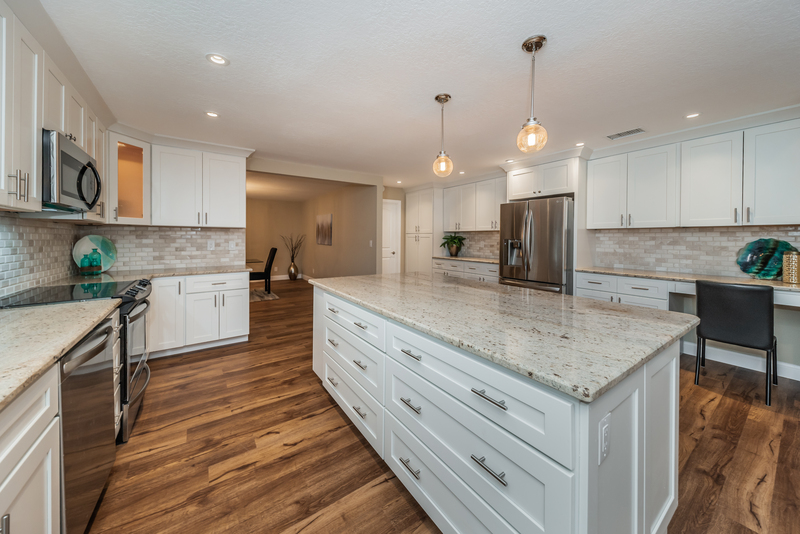 Crown molding tops the new white wood cabinetry while new granite countertops, a marble back splash, and gleaming stainless appliances are lit by pendants and high hats. This wide-open space flows beautifully into the expansive family room that features unique ceiling/accent beams as well as a stone-framed fireplace flanked by a wet bar and wine frig. Enjoy views out to the fenced yard’s screen enclosed pool and shaded entertainment area boasting a wet bar and serving port from the kitchen. 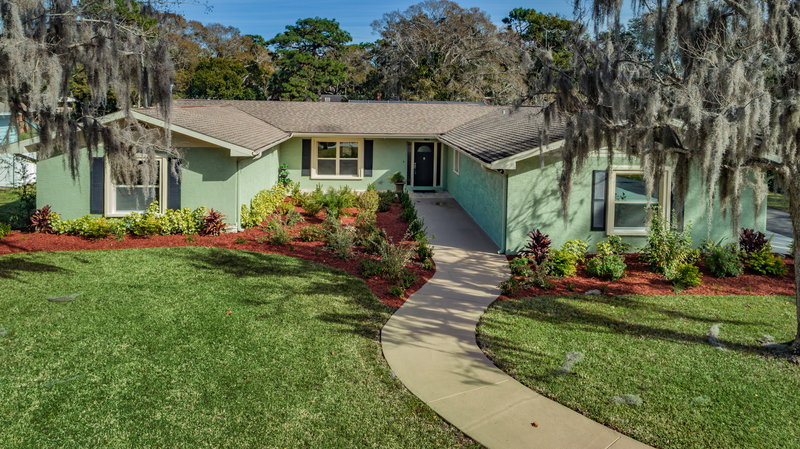 Tucked in a quiet neighborhood surrounded by Tampa Bay’s best shopping and dining, this executive-style home is only 40 minutes from downtown Tampa and its international airport. https://trinityeastlakerealestate.com/wp-content/uploads/2018/03/LC-WebLogo-340x156-300x138.png 0 0 loricrawford https://trinityeastlakerealestate.com/wp-content/uploads/2018/03/LC-WebLogo-340x156-300x138.png loricrawford2019-02-06 11:33:342019-02-06 11:33:34UPDATED Throughout Clearwater Pool Home! This Clearwater beauty boasts a stately, yet welcoming exterior. A velvety lawn is split by a gracefully curving path that leads from the circular driveway to the grand entrance. A lovely array of shrubbery edges the vista. The sun dappled backyard is dotted with shade trees & verdant border hedges; it feels like a grand estate that is home to an exquisite outdoor entertainment center. Gorgeous French doors from the living room reveal the covered dining area alongside the screened in, sparkling pool. Inside, the gorgeous renovation shines in every detail. Situated on a little over .75 of an acre, this 3600 SF, 4 bedroom, 3.5 bath home with a 3-car garage has been treated to new paint and stunning new flooring throughout. Natural light just floods every room and showcases the splendid fixtures and finishes. While the contemporary floorplan is sublime, details like exposed beam ceilings and warm wood surfaces make it exceptionally inviting. The well-appointed kitchen is a dream with stainless steel appliances reflecting lustrous granite counter tops on the center island & casual dining bar. The updated master suite is a study in luxury with private access to the yard, a spacious shower room, and a standalone soaking tub beneath an octagonal window. Other features include: a huge laundry room and recessed lighting. 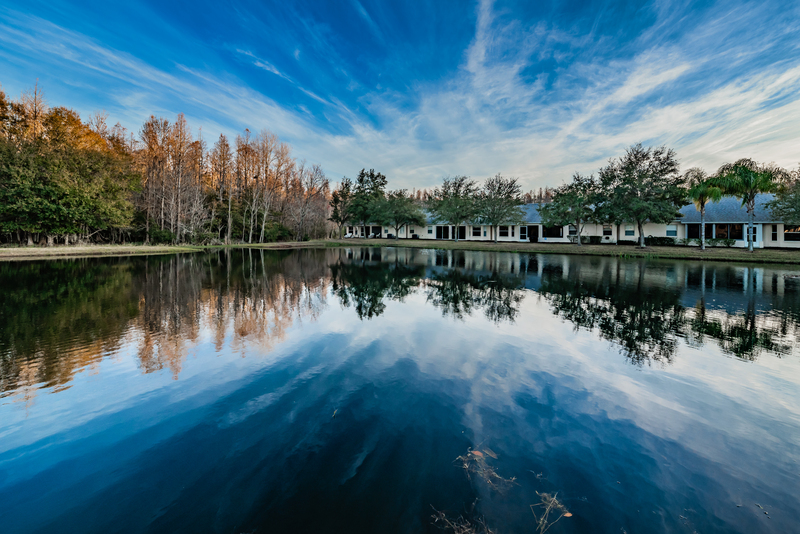 Minutes from the magnificent Belleair Country Club, the Belleview Biltmore Golf Club, and the wonderful waterways of the Tampa Bay area, this is an executive style home with a true “wow” factor.